The roles for running any community group are diverse. To be successful, it relies solely on its volunteer members. 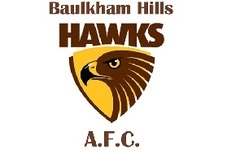 Your AFL club, The Baulkham Hills Hawks is no different.